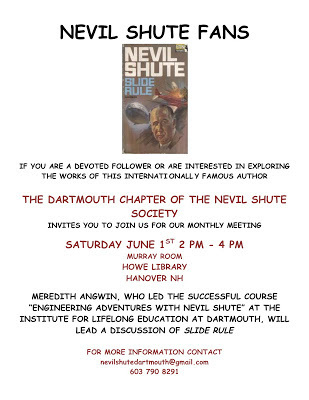 Tomorrow I will lead a discussion of Nevil Shute's autobiography, Slide Rule, at the Howe library in Hanover. We will be at the library from 2 to 4 p.m., it's free, and there will be refreshments. I hope some of you will be able to come. If you remember, my course on Engineering Adventures with Nevil Shute led to the formation of a local chapter of the Nevil Shute society. Tomorrow is the third meeting of our chapter, and I will be leading the discussion. Thanks to the tireless work of C.J. Smith, the Dartmouth Chapter has a great web site (NevilShuteDartmouth) with information about the meetings, contact list and more. C. J. also made the poster, shown above. My own notes for the meeting are below. 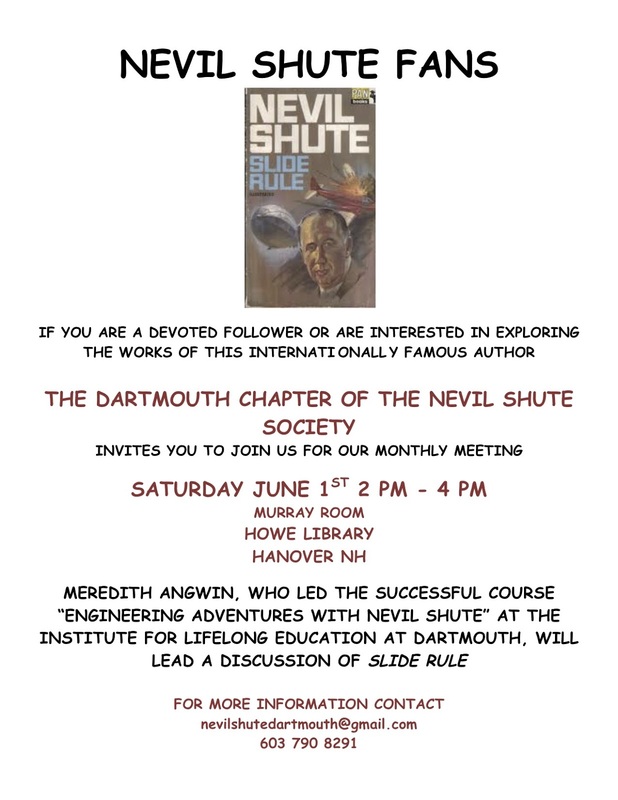 On Saturday June 1 2013, the Dartmouth Chapter of the Nevil Shute Society will meet at Howe Library from 2 to 4 to discuss Shute’s autobiography: Slide Rule. • R101, designed and built in a government facility. The R100 flew successfully to Canada, but the R101 crashed on its first voyage. Why the difference? • Being built in a government facility? • Not having pilots as designers? 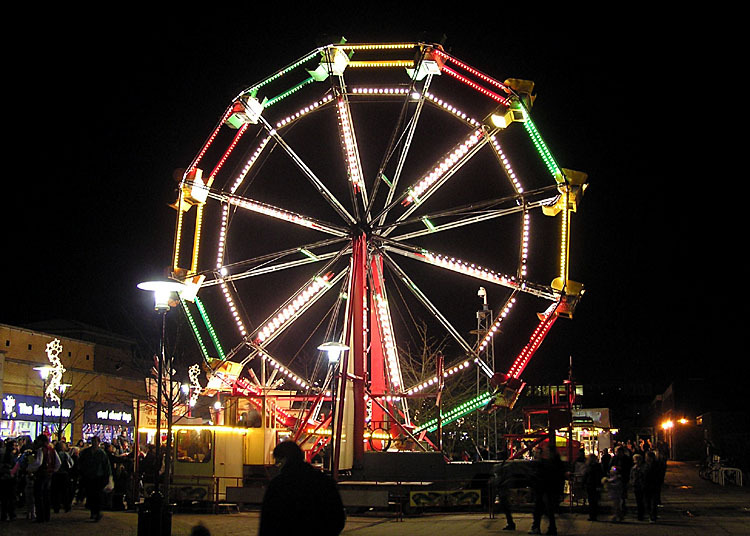 • Lack of project management? • Other issues (air-worthiness certification rules, for example)? 1) First Hour: Only the book. In the first hour, we discuss questions from completely within the context of the book. This constraint encourages everyone to contribute to the discussion. 2) Second Hour: Personal anecdotes and specialized knowledge. 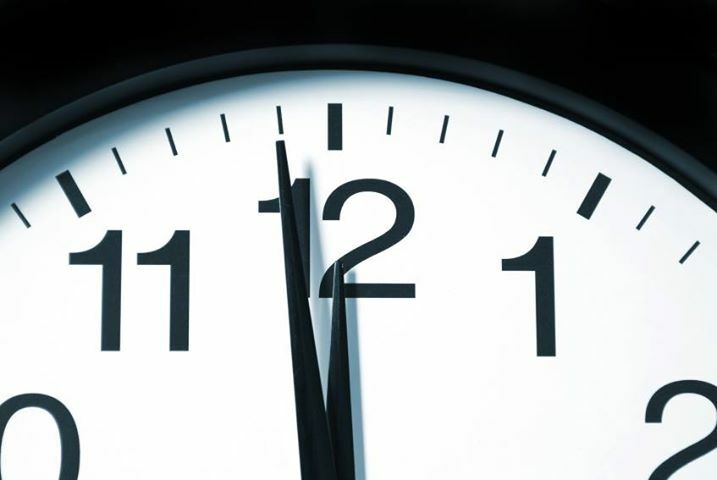 The second hour encourages discussion of personal anecdotes about similar projects, specialized knowledge about airships, and more. 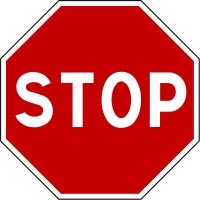 About a week ago, on May 21, I blogged about the fact that Vermont Yankee needs another back-up diesel, and the Vermont Public Service Board (PSB) has been dragging its feet about giving permission to install that diesel. Entergy has an NRC deadline to install the diesel, and therefore, Entergy sued the PSB in federal court. The court hearing is scheduled for June 4, which is Tuesday, and coming up fast. By denying the diesel permit, the PSB is interfering with nuclear safety, an area of federal jurisdiction. My post was A Court Case With A Deadline: The Black Start Diesels. That post included the "Breaking News" that the PSB hearing officer for the diesel docket had recommended that PSB grant the permit for the diesel. The Department of Public Service also supports granting the permit for the diesel. Here's a link to the Vermont Digger article by Andrew Stein on these recommendations that the PSB approve the diesel. "We agree with our hearing officer and here's your diesel permit. " "To heck with our hearing officer's recommendations. We don't hand out diesel permits to outfits like you, and we'll see you in court." But, so far, nothing has happened. At this point, it looks like the PSB is happy to ignore the hearing officer and the Department of Public Service. The court date is approaching fast. I waited. I wanted to write a blog post about this, as soon as there was some news. Then I realized that the lack of news--is also news! Non-action is also information. "You consider that to be important?" he [Inspector Gregory] asked. 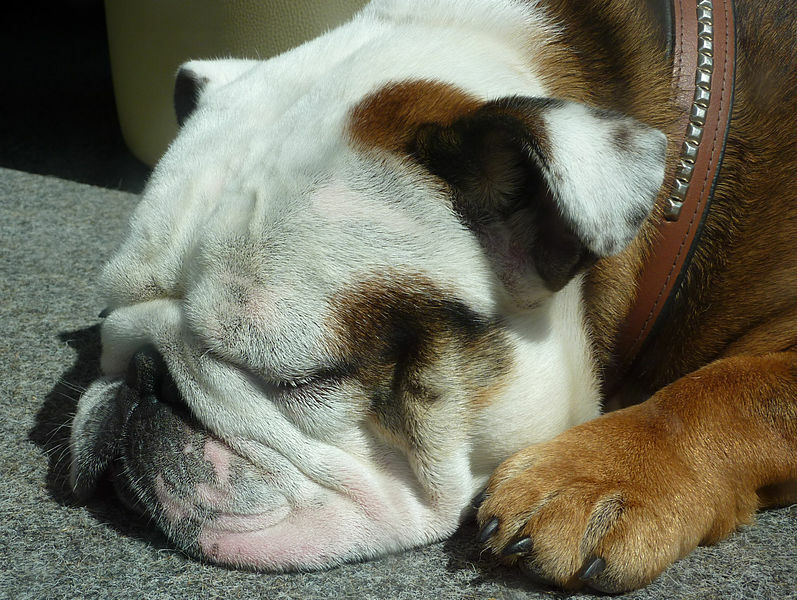 In the Holmes case, the fact the "dog did nothing in the night-time" means that a stranger did not commit the crime. If a stranger had been there, the dog would have barked. Holmes concluded that the crime was an inside job. To me, the fact that the PSB has done nothing means that they are happy to go to court June 4, even though (IMHO) they are pretty sure to lose on this one. In my opinion, this shows they are heavily influenced by politics. I think that the more often the PSB is in court, the more political credibility they think they have with the Shumlin administration and the Vermont legislature: We TRIED to shut that plant down! We really did. They sued us all the time, but we kept trying. In my opinion, this non-action on the hearing officer's statement shows that political credibility is what matters to the PSB. The PSB is supposed to be a non-partisan board, but this incident of the Dog in the Nighttime indicates something else. The Public Service Board is ignoring its own hearing officer and the State's Department of Public Service. It seems happy to be dragged into court. A political agenda is the best explanation I can come up with. I welcome readers' comments with other explanations. Atomic Power Review Note: Regarding the Yes Vermont Yankee post linked and described above... Just how many times in this post-Fukushima world would one EVER expect to find any group, anywhere, that could possibly justify campaigning AGAINST adding a back up diesel generator at a nuclear plant site? I think that says it all. I hope to receive more comments, but it will be hard to beat Davis's pithy comment. In related news, a group of intervenors just sued the PSB in Vermont Supreme Court, claiming the PSB should "enforce their own orders" and close the plant. Here's the May 25 article by Bob Audette in the Brattleboro Reformer on that suit: Groups Ask Vermont Court to Affirm PSB Rulings on VY. This suit bears an uncanny resemblance to a lawsuit the Vermont Supreme Court turned down in March of this year. Here's the Andrew Stein article in Vermont Digger on March 28: Vermont Supreme Court Denies New England Coalition's Petition to Close Vermont Yankee. Or, as I blogged on March 28 in Court Won't Close Plant During PSB Hearings. Since the Vermont Yankee matter is active in both federal court and the PSB, the Vermont Supreme Court is unlikely to get involved. Courts don't like to step on each other's toes. Frankly, I don't get this intervenor latest suit. It looks frivolous to me: it looks like the same contentions as the lawsuit in March. Why are they doing this? However, I freely admit I am not a lawyer, so there may be a reason. Once again, comments are welcome. In Vermont, sometimes it is possible to get so used to intervenor actions that we forget how absurd they can be. 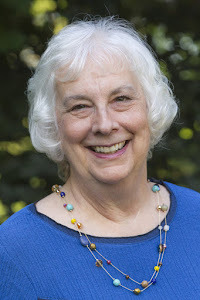 Shaffer Post on Gundersen Testimony: While I was out of town in North Carolina, Howard Shaffer posted about Arnie Gundersen's visit to the Vermont legislature at ANS Nuclear Cafe. Shaffer's post has the accurate title: Love Feast Under the Golden Dome. Shaffer's title is accurate, but Gundersen's statements are not accurate. Shaffer quotes and refutes his statements. Gundersen is a very skillful purveyor of FUD (Fear, Uncertainty and Doubt). A post well worth reading. 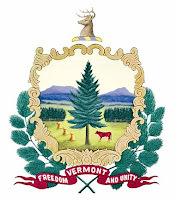 Shumlin Scandal: I almost never post anything about Vermont politics unless it has something to do with energy. I need to make an exception. Governor Peter Shumlin was involved in a questionable land deal, where he bought land from a very poor neighbor, and he paid approximately one-fourth of the listed value of the land. The neighbor was facing a tax sale, but would undoubtedly have received far more money from such a sale than he received from Shumlin. However, he seemed to have been panicked at the thought of the tax sale, and closed with Shumlin the day before the sale was scheduled. 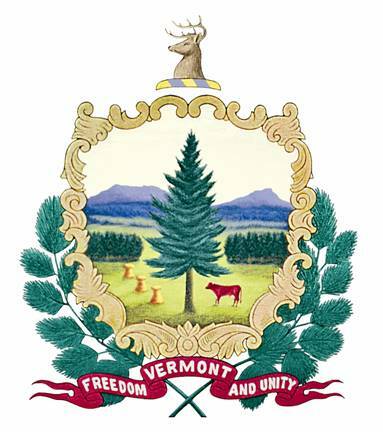 To many people in Vermont, Shumlin's actions seem unethical or perhaps even illegal. As I say, this isn't about energy, so I usually wouldn't bother with this sort of thing. But I suspect the national press is going to pick up on this, and I want to be sure my readers are informed. I also want to avoid getting ten thousand emails asking me: "Meredith, did you see this?!" Two articles from Vermont Digger are linked below. More articles are being posted daily, all over Vermont. 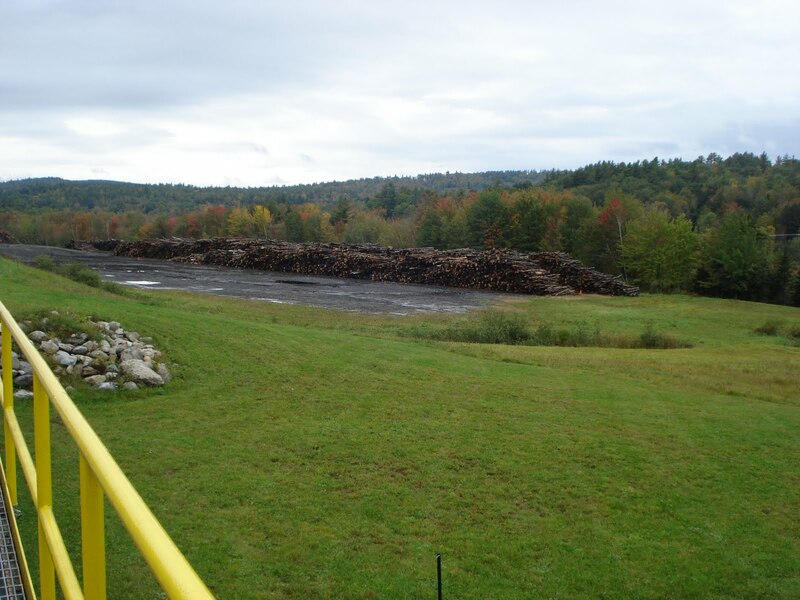 Shumlin Land Deal Draws More Questions by Andrew Stein. Governor Responds to Reporters on Land Deal...One at a Time by Andrew Stein. 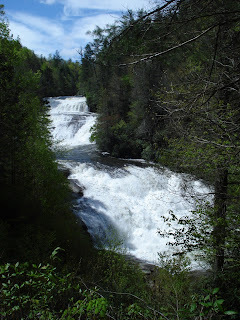 This morning, I have an unusual blog post at ANS Nuclear Cafe, inspired by my recent hiking trip in North Carolina. In Farmers, City Folk and Renewable Energy, I consider the renewable-advocates idea that we can "get" all the energy we need from sun, wind and water. No. We can't simply "get" energy from sun, wind and water. We would have to "take" this energy, by industrializing the wilderness. I compare this idea of "getting" energy with the realities of farming. City people are sometimes annoyed at that reality, but farms are a sort of factory for food. A well-tended field is not just scenery: it has had inputs: seeds, fertilizer (organic or not), labor. With these inputs, the field is expected to produce outputs: food. Do we want to turn the natural world into a kind of energy farm, as we set ourselves up to "take" the renewables, wherever they may be? I don't think so. I write about environmentalism, and letting the rivers be rivers, not hydro plants, and my own history of Sierra Club membership, back in the day when the Club protected the wilderness. Remember the fight against Glen Canyon Dam? Remember the fights to expand wilderness areas? So-called "environmental" groups have come a long way in the wrong direction since those days. Now, they try to sell everyone on the absolute necessity of building wind turbines on the ridges of our beautiful mountains. 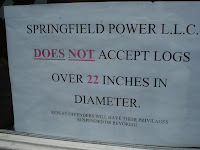 Now, they make fun of people who think hydro power might be limited in Vermont. Now...well, now, in my opinion, many of their stances are completely anti-environmental. My ANS post is more personal than usual. I hope you will read it. 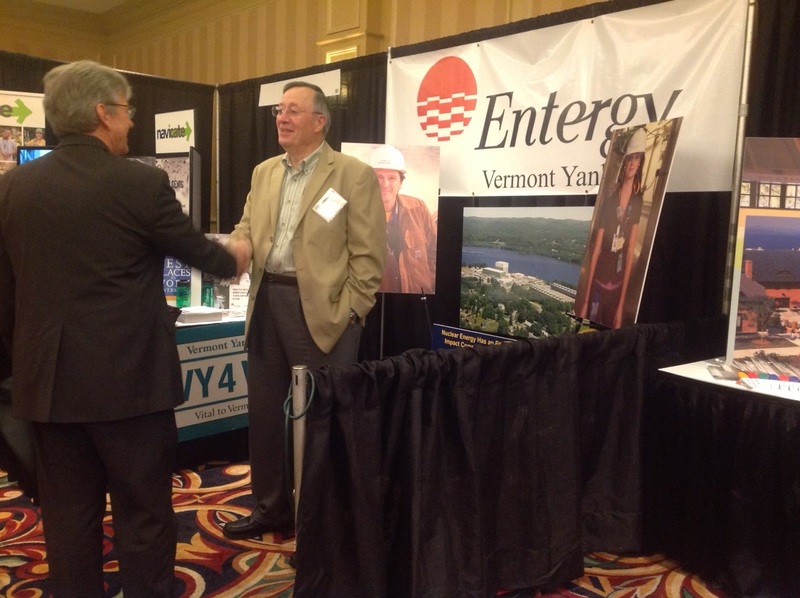 On May 22 and 23, the Vermont Chamber of Commerce held its yearly Vermont Business and Industry Expo at the Burlington Sheraton conference center. I went to the Expo this year and Entergy Vermont Yankee had a booth. Several Vermont Yankee employee volunteers staffed the booth. In my picture, you can see Richard January talking to a visitor at the booth. Entergy had several copies of our book, Voices for Vermont Yankee, at their booth. Voices for Vermont Yankee records many pro-Vermont Yankee testimonies made at the Public Service Board hearings last fall. My husband George and I published this book together, and Entergy had told me that they bought some copies. I think they gave a few copies away at the Expo. You don't have to go to the Entergy booth to get a copy, though! You can buy Voices for Vermont Yankee on Amazon as a paperback ($4.04) or you can buy it as a Kindle or a Nook ebook for $2.99. 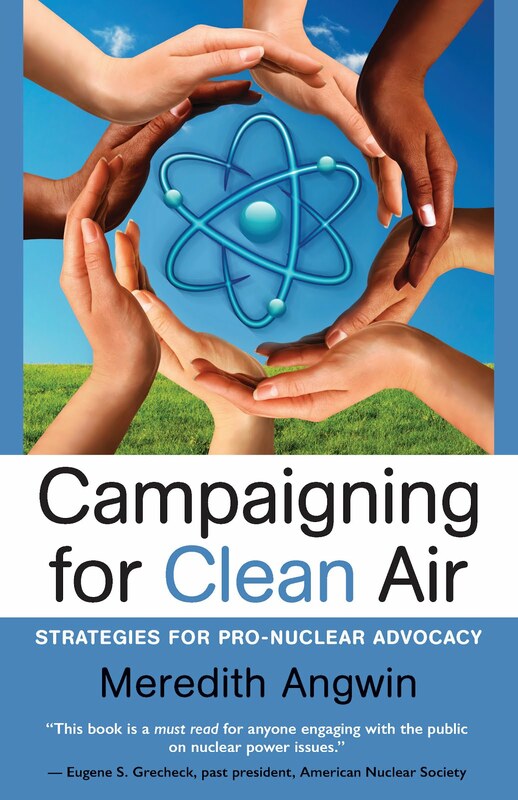 It's an inspiring book for anyone in favor of nuclear energy: people's statements in favor of nuclear power. Last time I announced the book, it was only available as an ebook. Now we have it as a paperback, too. With this print copy available, more people can read it. You can give it as a gift if you already have your own copy. George worked hard and thoughtfully to design the paperback. It looks very good (but I'm prejudiced). You will enjoy it. While I was at the Expo, I was happy to see that GW Plastics, one of my favorite Vermont companies, won the prestigious Deane C. Davis Outstanding Business Award. As the GW Press Release for this award wrote: During the last two decades, the company has expanded four times in Vermont, investing millions in equipment, facilities, and training, and doubling its Vermont employment. I have some connection to Vermont manufacturing, so I was glad to see a Vermont manufacturing company win this award. My manufacturing connection is mainly through Vermont Manufacturing Extension Center (VMEC). VMEC is part of a nationwide organization which helps U.S. manufacturers be innovative and efficient. 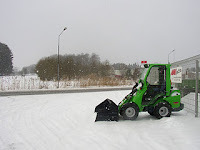 I used to write Success Stories for VMEC, interviewing manufacturers that had worked with them. At the Expo, I enjoyed stopping by the VMEC booth and seeing some old friends. Vermont Yankee is a Vermont company (though part of a larger company, which is true of many Vermont employers, such as Ben and Jerry's and IBM). Vermont Yankee employs many people in Vermont. It pays taxes in Vermont. It attends trade fairs in Vermont. For me, seeing VY's booth at the Expo was a very refreshing and calming experience. People stopped by and talked: as far as I can tell, most visitors were in favor of continued operation of the plant. (I was not staffing the booth, just visiting, so my knowledge is incomplete.) All the Expo exhibitors were calm and upbeat. It is fun to walk around a trade show. 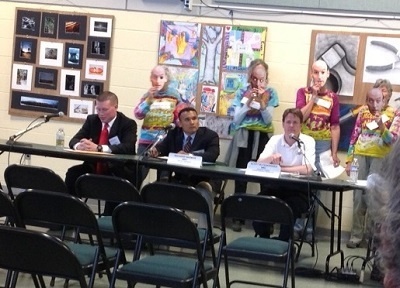 Being at Expo was a refreshing change from my trips to hearings in Brattleboro and Montpelier. Perhaps I spend too much time at hearings and not enough time at trade shows. I'm going to try to change that. Last night, the hearing officer for the diesel docket at the Public Service Board recommended granting a certificate to allow the diesels to be installed. This is great news! However, as Entergy notes in its response, the PSB has not yet ruled on this recommendation, so the situation remains uncertain. Andrew Stein article at Vermont Digger includes a link to the hearing officer statement. On June 4, in federal court in Brattleboro, there will be a hearing on Entergy's suit against Vermont's Public Service Board. While many court cases drag on forever, this one is likely to be resolved quickly. Entergy needs an answer from the court by mid-June. Vermont Yankee needs a diesel generator. The plant must begin pouring the concrete pad for it in mid-June. In the summer of 2012, the New England System operator (ISO-NE) changed its black-start power plant requirements. "Black Start" power plants are plants that can start quickly and re-energize the grid during a wide-spread outage. Until last summer, hydro plants were the black-start plants, but hydro plants tend to be small (Vernon Dam is 34 MW). Gas-fired plants can also start quickly, and gas-fired plants tend to be bigger. It would require fewer gas-fired plants to re-energize the grid. Therefore, last summer, ISO-NE said that small hydro plants such as Vernon Dam would no longer be black-start facilities. That role would be assigned to larger gas-fired plants. 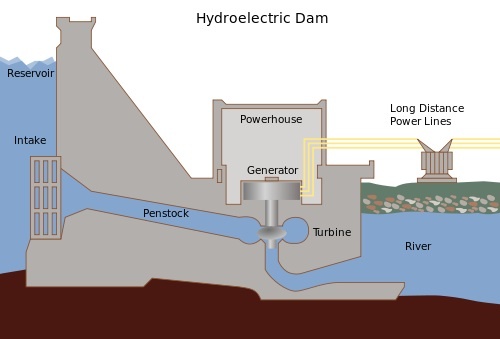 Vermont Yankee has a direct tie-line to Vernon Dam, and had always counted Vernon Dam as a source of emergency back-up power. 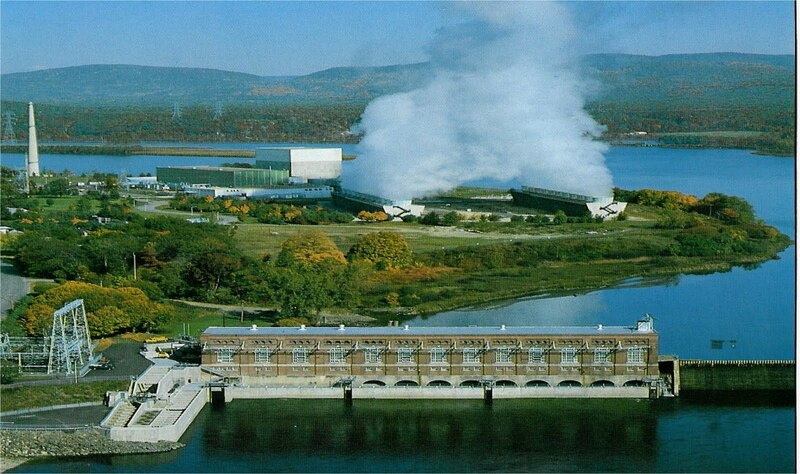 When Vernon Dam was re-classified and would no longer be a black-start facility, the Nuclear Regulatory Commission required Vermont Yankee to replace it with another emergency diesel generator. Supposedly, in Vermont, adding a diesel generator at a nuclear power plant requires a ruling from the Public Service Board. That's the current Vermont requirement, and Entergy tried to comply. In early August, Entergy announced it would ask the PSB for permission to add a diesel generator. The Brattleboro Reformer reported on the request on August 7 (Entergy to ask for new diesel generator at VY), and I blogged about it on August 13 (Black Start, Black Out and Diesels, Some Clarity). As soon as Entergy said it needed a new diesel generator, intervenors got ready to try to stop them from acquiring one. As Ray Shadis of NEC said in the Reformer article: "the state even today regulates certain aspects of existing emergency generators -- such as exhaust emissions, petroleum leaks and noise." He clearly hoped that this diesel generator, a required piece of nuclear plant safety equipment, would be stopped on the basis that diesel generators are..well, they are diesels. The "orders of this Board" clause is not about something small. It's huge. The question is whether Entergy has a right to keep operating Vermont Yankee after March 2012, when its original certificate of public good expired. In general, by Vermont law, plants can keep operating with an expired certificate, as long as they had applied for a new certificate in a timely fashion (as Entergy did). But Senate votes and federal court cases (among other things) have muddied the waters on the certificate extension, at least in the opinion of the PSB. I have not actually found any order from the PSB requiring the plant to shut down. It seems to be more of an order-implied-by-the-question that is quoted above. If someone can find such an actual PSB order, I hope they will tell me. The last two years of PSB orders can be found on this page: Recent Public Service Board Orders. The PSB did issue an order recently, however. On April 24, the Public Service Board entered a Scheduling Order on the docket, re-iterating that it wanted answers to the questions from the December 27 order. To put the matter rather mildly, with this statement, the PSB gave Entergy absolutely no assurance of a timely decision. On April 25, Entergy sued the Public Service Board in federal court, claiming the Board has no authority over safety equipment at a nuclear power plant. It seems clear to me (and apparently, equally clear to Entergy) that the Public Service Board is willfully interfering with the purchase of nuclear safety equipment. The Board is pre-empting and frustrating the federal role of ensuring safety at nuclear plants. Andrew Stein at Vermont Digger has a good short article on the lawsuit. I have the Entergy complaint (document that outlined their suit) on federal-filings-page of the Energy Education Project website. As the Entergy complaint notes, on page 25: Vermont's refusal to authorize construction of the station blackout generator....is an aspect of the state's long-running campaign to force the VY Station to shut down by any means necessary because of radiological safety concerns....[Vermont] has no genuine, non-pre-empted state interest in preventing construction of the blackout generator. A June 4 date has been set for the hearing. Vermont Law School Professor Pat Parenteau said the suit puts state regulators in a difficult situation. The court date is coming soon. It will be interesting to see how the state defends their position on the diesel generator. I personally don't think they can defend it. "They don't seem to have that [a real basis for their statement]" as Parentau said. So true, indeed. The state is making arbitrary decisions on nuclear safety, and now they will be in court again. However, every time a case is heard in court, it is a gamble. I am not a lawyer. I think the state does NOT have a good case, but I certainly don't think it is a slam-dunk that one side or the other will win. I think Entergy is in the right on this, and I certainly hope for a good outcome in court. Note: You can link directly to the Entergy filing complaint filing pdf here. It includes a timeline, including Entergy warning the PSB of the date that it would sue them, if the PSB didn't move. The pdf is a longish document and will take time to download. I have another document, also, about Vernon Dam. 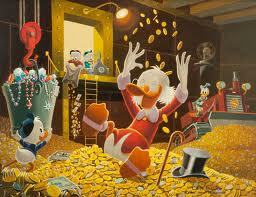 I asked an Entergy spokesman if VY had tried to pay Vernon Dam to continue to be available as a black-start facility. In return, he sent me this filing that Entergy made to the Public Service Board on April 12. Entergy had asked Vernon Dam (TransCanada) that question and been refused. TransCanada was willing to be black-start if required by ISO-NE, but did not want to take on the liability of being contractually bound with a nuclear power plant. All filings to the PSB are public documents, but this one does not appear on the PSB website. I thank Entergy for sharing it with me. Mark Potkin's testimony on negotiations with TransCanada--a relatively short pdf. 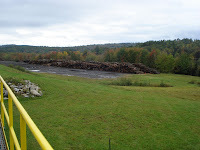 The day after the NRC meeting about Vermont Yankee, I wrote a post Mellow Meeting of the NRC in Brattleboro. Actually, the meeting was only mellow in comparison with last year's meeting: The Politics of Intimidation. This year, women with Jaczko masks once tried to disrupt the meeting by standing behind the NRC people, chanting and making speeches (photo at left). Once again, the NRC members left the room and then came back into the room. Once again, the women stood behind the NRC after the NRC came back. However, the women didn't succeed this year. Eventually the women sat down and the meeting proceeded. Um, did I say "eventually?" I should have said something stronger. The problem is that I don't like to toot my own horn. But I did take action that helped get the meeting back on track, and it is worth sharing that action with my readers. Then I left the microphone. The meeting had grown quiet while I spoke (it was so unexpected) and the police soon persuaded the women to sit down. I blogged about this incident at ANS Nuclear Cafe: Speaking Out of Turn at the NRC Meeting. On that post, I treasure a comment from a man who was at the meeting and wanted to thank me after the meeting. Unfortunately, I was feeling sort of shaky from the strain of doing something like that, and I left the meeting a bit early. A few days later, I found that community TV had recorded the meeting. I thought: "Oh dear. What did it look like when I went up to that microphone?" I was scared to look at the video, but I needn't have worried. The incident wasn't there at all. The TV people apparently felt that the women chanting, the NRC leaving the room and coming back, the NRC trying to talk above the chanting, me making my statement, the police approaching the women..none of that was worth recording. I don't know how they concluded this: in retrospect, it was all rather dramatic theater. But none of it is on the video. If you look at the video below, a man from the NRC refers to the incident with some statement like: "if there is more disruption, we will have to take a break." The video cameras follow the women walking peaceably around the "science fair" part of the meeting and then you see them sitting peaceably in the chairs during the question period. In the video, you see me and my friend Guy Page (frequent guest blogger) speak to the NRC once the meeting was underway. Our remarks start at about the 11 minute mark on the video. The TV video makes the situation look darn mellow. That is not how it happened, my friends. That is not how it happened. This is a preliminary version of the Vermont Land Use report that George and I are writing for the Ethan Allen Institute. This post first appeared on the Ethan Allen Institute site. 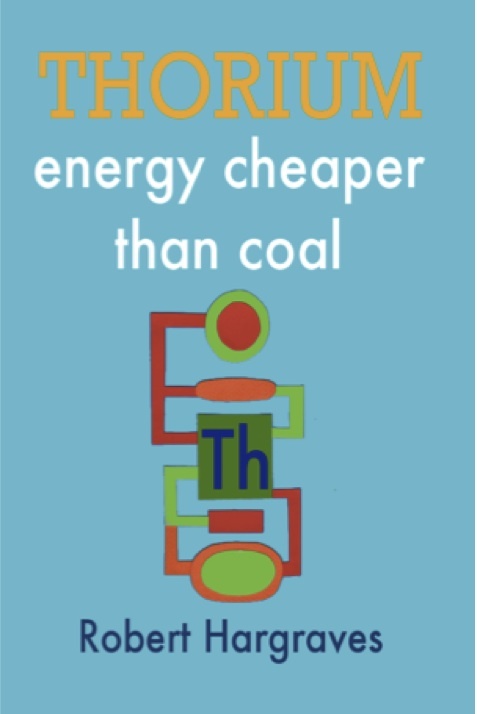 Thanks for your book Thorium Energy Cheaper than Coal which I have just completed. Besides providing a further education on the topic, in reading the first page reviews, I saw one by Meredith Angwin which caused a distant memory to light up... I found her email address and we have struck up a conversation of shared interests. I was motivated to write after reading your appendix with the paper that again retraces the history of LWRs and the evolution of the latest generation systems from Westinghouse et al. Their investment causes them to have little interest in any new technology that may detract from their established history and embedded corporate strategic heading. As you know, this is common in companies/industries that grow long in tooth. If you are not aware of the work of Clayton Christensen at the Harvard Business School, you should review his work on "disruptive innovation" in light of the Westinghouse strategy and disruptive characteristics created by LFTR. In short, Christensen showed through research that markets change need, and differing needs cause changes in buyer preference which old suppliers can not adjust to meet. So they die. He started with disk drives, and broadened his research. sure you remember the refrigerator size drives, lined up in rows, that serviced IBM 360's at computer centers to which we brought stacks of punch cards. Mini-computers (DEC VAX being most notable example) could be put in a closet so that small hard disk drives were preferred despite much higher $/MB cost. Small size was more important. The 8 inch Winchester and then 5 inch Winchester drives emerged, and a whole new industry of disk drive companies thrived. Interestingly, IBM did not make the transition, and the 8 inch guys could not transition to 5 inch who could not transition to 3 inch shock hardened units for lap tops. Once established, the established players could not match the cost structure and demands of the next smaller step. Research showed this happened in the past again and again. 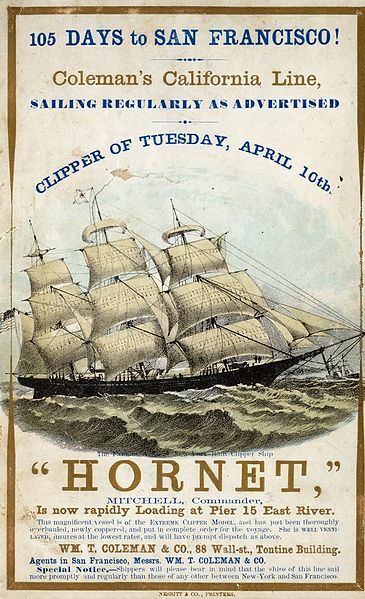 American clipper ships were unsurpassed in ability to sail around the Horn at low cost with high reliability. Steam ships were unreliable, expensive, and exploded. But clipper ships could not navigate rivers and canals, and it was on the Mississippi River and elsewhere that steamships found a solid footing and matured to eventually take over. Number of clipper ship companies that made the transition: zero. Earthmoving was dominated by huge steam shovels. Figure of merit: dollars per cubic yard of soil moved. 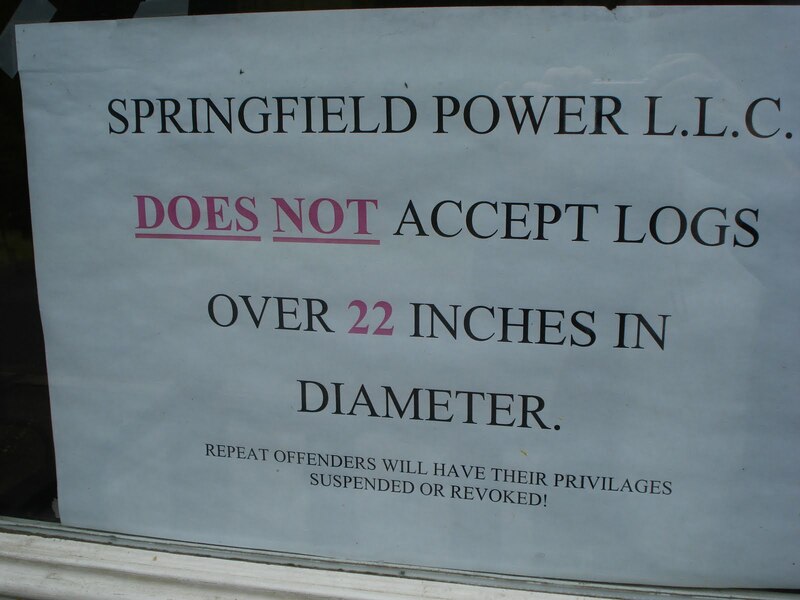 Bigger was better. Until the post WWII housing boom when somebody cobbled together a small hydraulic powered scoop that fitted on the back of a Ford rubber tire ag tractor and was driven by the agricultural power take off coupling. It was a kludge, but for cutting trenches around tract houses, it beat hand work by miles. Time goes on, and hydraulic backhoes have become huge and dominant in earth moving. Survivors from the steam shovel days: a couple that now make huge drag lines for open pit mining. You see the pattern is clear in the context of LFTR: The proposed GEN III huge "modular" LWRs are derelicts of the past. They must be bypassed because the market demands something with different requirements - mass production, easily shipped and quickly erected at smaller, easier to find sites, economy from production line manufacture instead of economies of scale, and all the other benefits you know so well. So as you pursue your quest for LFTR, and given your bully pulpit, I suggest you incorporate the lessons of "disruptive innovation" to show that costs, risks, performance, and other benefits arise from adaptation to the changes in market demand. "Disruptive innovation" needs to be a primary strategic element of LFTR commercialization attracting a new generation of business entrepreneurs not bound to the views of the past. It is a message that rings strongly with the venture capital set, all of whom have carefully read Christensen's work. It needs to be part of the LFTR equation. I worked with the author, Fred Moreno, at Acurex in the 70s. Moreno has a BSME from University of California and an MSME from Stanford University. He retired from his position as Chief Operating Officer and Executive Vice President of Silicon Valley technology company. The company made robotic systems for use in the semiconductor manufacturing business. Moreno now lives in Australia. "Nah, nah, nah, I know about hydro and I am not telling!" What did he think he "knew" but didn't have to "tell"? Two engineers contributed to this current post on the topic of new hydro. William Rodgers commented on my earlier blog post itself, while Jaro Franta (from Quebec) commented on the earlier post at the Save Vermont Yankee Facebook page. ..But anyway, not to take away from Mr. Simon's moment illustrating his maturity level; the other issue of new hydro is not just available capacity but also licensing. New hydro needs to walk the path of licensing with FERC. It is one thing to read a few research articles in Hydroworld and proclaim some sort of illusory victory. It is entirely something else to actually make a transition plan to new hydro work so all will benefit and none will suffer. New hydro can take anywhere from 5 to 15+ years to get licensed. And with the current FERC leadership preferring natural gas plants over all other generation sources to back up wind, it is highly doubtful significant new hydro would be licensed anyway. Especially since actual environmental groups would come out and protest licensing activities. Then there is the construction costs, number of sites that would have to be used to get even close to the output of VY, issues with run-of-the-river dams where water is already needed for other uses, not hydro-generation. Oh the list goes on and on. Then there is the dreaded drought year or years. What then? Greens in Quebec have also been pushing these "water current turbines" or Tyson turbines, as an alternative to standard hydro dams - they would apparently prefer putting thousands of these things in the St. Lawrence and other rivers. Unfortunately they're clueless about the crud (fouling) that develops over time on these things, due to the low-speed water flow, and the massive job it would be to keep cleaning them. Incidentally, a fair comparison may be made with the Côte Sainte-Catherine Hydromega projects, which I was involved in the mid-1990's. As I recall, one of the big issues there was the fouling of the trash racks on the intake to the penstocks: These are ***fortunately*** accessible from shore (they are on the high side of the seaway locks dikes), but they certainly keep the plant operators busy cleaning them, especially in the summer.
" The Côte Ste-Catherine facility is located at the Côte Ste-Catherine lock of the Lachine section of the St. Lawrence Seaway. The bypass canal upon which the facility is located was constructed as part of the St. Lawrence Seaway in 1958. The facility has a total installed capacity of 11,120 kilowatts and was constructed in three separate phases, each phase having a total installed capacity of 2,120 kilowatts, 4,500 kilowatts and 4,500 kilowatts, respectively, and each phase was commissioned in 1989, 1993 and 1996, respectively. Due to the year round, high volume water flows of the St. Lawrence River, the facility is expected to operate at full capacity throughout the year. The Côte Ste-Catherine facility uses approximately 2 per cent of the river flow at any given time. As William Rodgers notes, permitting new hydro would be close to impossible. This is probably why upgrading existing hydro is more popular. As Jaro Franta notes, upkeep on run-of-the-river turbines is very difficult, since the low flows mean the trash racks are easily fouled. Also, the Côte Ste-Catherine facility uses only 2 percent of the river flow. With a mighty river like the St. Lawrence, installed capacity for these turbines is 11.2 MW. With a smaller stream, the output would be in kilowatts, and the costs of running and cleaning the system might be too high for the amount of power you would gain. As Germany goes, so goes Vermont? Eighty years later Vermont is following another trendsetter: Germany, the Western world’s undisputed leader of government-subsidized renewable power. Visitors to Germany note that solar panels cover the south face of seemingly every village church, school and home. Germany is home to a well-funded, highly popular “feed-in tariff” (FIT) that has encouraged almost broadbased power production. Of the 40 GW of installed solar power worldwide at the end 2010, almost half – 17.4 GW – was located in Germany. In just two years Germany’s share jumped to about 30 GW, according to the Feb. 2013 Washington Post. 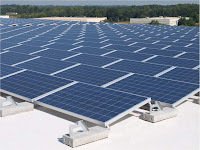 German FIT solar power costs about 32 cents American per kilowatt-hour. Likewise in Vermont: FIT solar power is down from 30 cents to 25.7, about five times the average market rate. And while market power rates fluctuate – for better or worse - the Vermont FIT solar power rate, once set, is fixed in contractual stone over the course of the 10 year contract. As in Germany, Vermont opponents of nuclear power were empowered by a nuclear “incident” that helped them reverse government support for nuclear power. The Vermont Senate’s 2010 vote was held amid a powerful public response to reports of a tritium leak at Vermont Yankee. In May 2011, in the wake of Fukushima, the German government announced plans to close many nuclear plants. Although Germany followed Vermont chronologically, the decisions-making process was similar: the politically astute realized that a sense of crisis had moved matters to a tipping point. The pro-renewables, anti-nuclear policy has had an unexpected effect in both locales: they are more reliant on fossil fuels. Germany has been an acknowledged leader among the “green” nations of Europe. In 2011, Vermont had the nation’s smallest carbon footprint for power generation, thanks largely to its reliance on hydro and Vermont Yankee. In carbon terms, both have taken a step backwards. According to a February 27 2013 Bloomberg News report, Germany plans to build 6000 new megawatts of coal-fired power generation, a move which will significantly increase their overall carbon footprint. The pragmatic Germans realize they need plentiful, domestic, baseload power capacity to support Europe’s strongest manufacturing economy. Deprived of nuclear power, the German government is turning – back – to coal. In Vermont, something similar has happened. Vermont Yankee’s contract providing about a third of the state’s electricity expired in March, 2012. Vermont’s reliance on New England grid power jumped about one million megawatt-hours in 2012 over 2011, according to “Vermont Electricity At A Glance,” study I conducted for the Vermont Energy Partnership. That figure equals one-sixth of Vermont’s total electrical load. About three-quarters of the grid’s power is derived from fossil fuels, mostly natural gas. Concerns about the technical Achilles Heel of intermittent power - grid instability - are present in both Vermont and Germany. 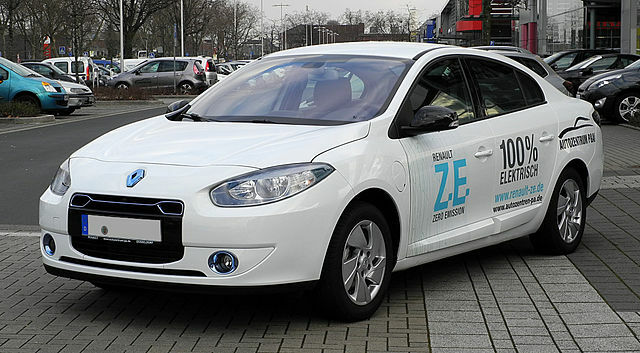 The August, 2012 Spiegel Online reported that large German manufacturers have experienced expensive power interruptions related to the transition to renewable power. In Vermont, the New England transmission grid operators have “curtailed” its purchases of power from the Lowell Mountain wind turbine development due to intermittency, resulting in a million dollars of lost income this winter, according to the general manager of one Vermont utility quoted in the April 5, 2013 Vermont Digger. The project’s owner is installing a synchronous condenser - $10 million pricetag – that it hopes will solve the problem. It is only fair to point out that in neither Vermont nor Germany has the final chapter been written. Perhaps solar power will prove to be greener, in both cash and carbon, in the long run. Someday, a bright engineer may solve the problem of “translating” intermittent power into a traditional power grid. No doubt renewable power is delivering many positive benefits right now, including energy diversity, property tax income, and strong growth in solar-related employment. Solar power’s cost of production has decreased somewhat in recent years, in part due to fierce competition from China’s solar panel producers. Nevertheless, it’s a safe bet that when the avid backers of solar power in Vermont and Germany celebrated the passage of their FIT laws, few of them were anticipating that the immediate future would have more carbon and serious concerns about power cost and reliability. 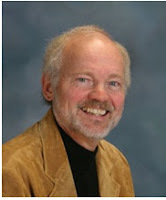 Guy Page is a frequent guest blogger at Yes Vermont Yankee. His most recent blog post described his report on Vermont's transition to renewable energy. The Mid-Atlantic region offers more than 60,000 MW of offshore wind potential in the relatively shallow waters of the outer continental shelf. The Atlantic Wind Connection (AWC) backbone transmission project is an essential foundation to this new industry. 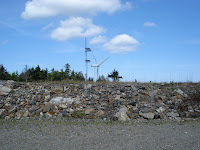 Trans-Elect and Atlantic Grid Development are the Atlantic Wind Connection, AWC, project developers. When completed, the AWC will be able to carry as much as 7,000 MW of offshore wind energy to consumers along the US East Coast. For comparison: The capital cost of 7,000 MW of nuclear plants (7 standard 1,000 MW plants) would be about $28 billion and the energy production of would be 7,000 MW x 8,760 hr/yr x CF 0.90 = 55.20 TWh/yr; more than twice the production at much less capital cost. They could all be built in about 10 years, thereby reducing CO2 much sooner than the IWTs which would take 20 years. 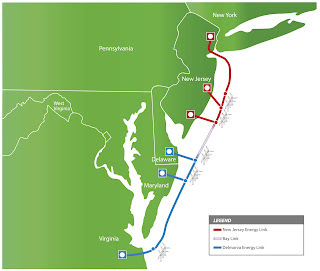 Completing the project would enable transmission of renewable offshore wind power to consumers in NY, Pennsylvania, NJ, Delaware, Maryland, Washington D.C. and Virginia. 2.297 MW to Virginia (30%). Willem Post is one of the most-read bloggers at The Energy Collective. He has a B.S. and M.S. in Mechanical Engineering, and also an MBA. He designed systems and evaluated costs for utility systems and large buildings. He is an internationally recognized expert on the economics of wind power. Post is a founding member of the Coalition for Energy Solutions, and an occasional guest blogger at this blog, for example, his November 2012 guest post: Wind in Vermont is Oversold. Consider just these: The federal investment tax credit subsidizes 30% of the capital costs of small scale solar photovoltaic and wind projects. Some investors may also claim a 50% first year depreciation bonus, plus five years of ordinary depreciation of the remainder, regardless of the actual lifetime of the equipment. Wind generated electricity on any scale earns a 2.3 cents/kWh federal Production Tax Credit. 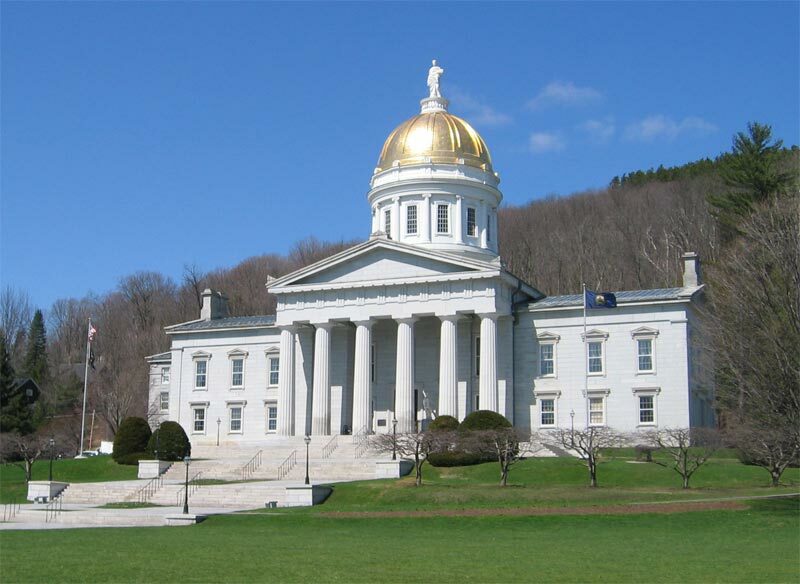 The legislature has also required Vermont utilities to buy solar PV (up to 2.2 MW) and small wind electricity (up to 100kw) at prices up to five times the wholesale price available on the New England power grid. In an effort to lure enough new investors to stay on target toward the 127.5 MW program goal, the PSB has now pushed the feed in tariff rate for new solar PV projects up to 25.7 c/kWh for the next 25 years; and to 26.2 c/kWh averaged over 20 years for small wind. Post describes a $10.5 million 2.2 MW solar PV facility in White River Jct., created by high-income Boston investors. About 15 acres of topsoil and trees were cleared, leveled, and shielded by an eight foot high fence. 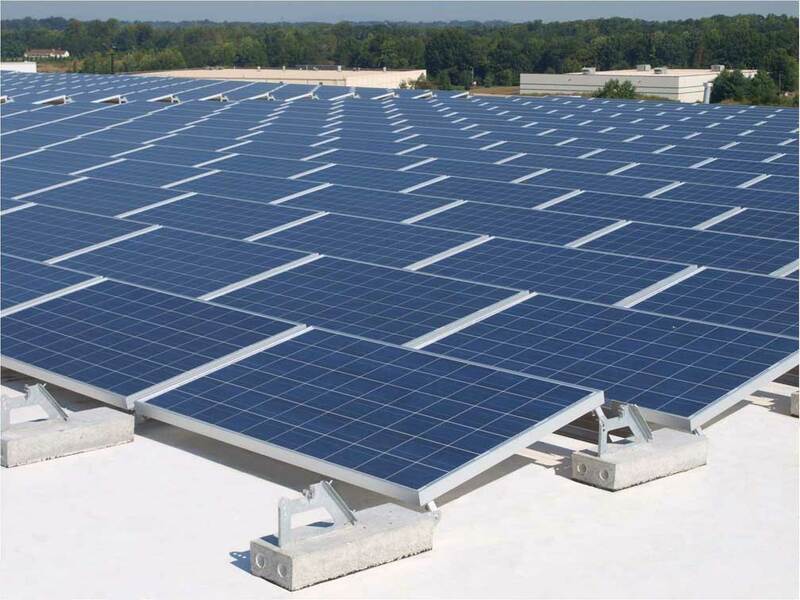 The facility almost certainly features Chinese-made solar panels and German-made inverters. It will generate electricity only when the sun is adequately shining, which is about 35% of the hours of the year. The expected annual generation is 2,755 MWh. 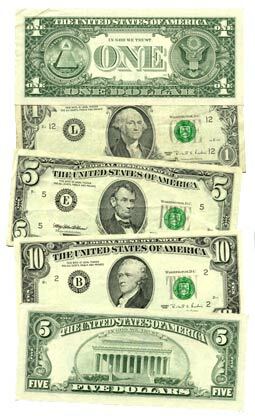 Power write a check to the investors each year for 25 years in the amount of $661,415. Since the cost to GMP is about four times the cost of electricity from the New England grid, the utility will charge its customers $509,840 a year more than they would otherwise have had to pay for grid power. The state’s Comprehensive Energy Plan of 2011 recommended adoption of a Vermont Renewable Portfolio Standard, by which utilities would be required to increasingly higher percentages of their electricity from renewables (including HydroQuebec). Achieving this goal would mean that ratepayers would be hammered all the harder, while the investors pocket even greater profits. Nice. John McClaughry is vice president of the Ethan Allen Institute (www.ethanallen.org). I am a director of the Energy Education Project of the Ethan Allen Institute. growing populations of nations trapped in energy poverty. The welcome growth of the global middle class increases energy demand. If the world's economy prospers enough to allow everyone to enjoy just half of the electricity benefits that Americans now take for granted, world electric power generation will triple. 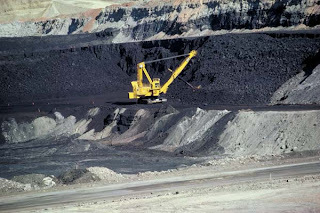 Most electricity will come from coal burning, which grew 8% worldwide in 2011. Germany leads the way, building more coal plants. Wind and solar power are too intermittent and too expensive to displace coal worldwide. 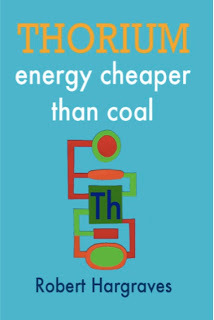 Nuclear power is the solution within reach; it's safe and affordable, with low environmental impact. Yet opposition to it borders on superstition, defined by Merriam-Webster as a "belief or practice resulting from ignorance, fear of the unknown, trust in magic or chance, or a false conception of causation ... a notion maintained despite evidence to the contrary". Let's explore evidence. People rationally fear possible accidents spreading deadly radioactive materials. Indeed massive doses of radiation did kill 38 emergency workers at Chernobyl, and the fallout of short-lived iodine resulted in 4000 cases of thyroid cancer and 15 deaths. However there is no evidence of the thousands of hypothetical deaths predicted by extrapolation of deadly exposures to lower radiation doses. Opponents of nuclear power have now hyped this death number up to one million, without observable evidence. Using simplistic mathematical extrapolations from the effects of high-radiation accidents, nuclear power opponents claim that no amount of radiation is safe -- not even the low-level natural radiation that comes from the sky and from earth's radioactive potassium, uranium, and thorium created billions of years ago. Potassium is in our food and our bodies. 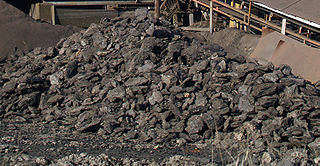 Rocks contains the thorium and uranium that decays to radon or fuels electric power plants. Reporting about the Fukushima accident created hysteria without basis. A UN scientific committee charged with investigating the accident's health effects reported in December that no radiation health effects have been observed among public or workers, and it cautioned against extrapolation to predict health effects of low-level radiation. Radiation superstition causes great harm. Japan is wasting billions of dollars preventing repopulation of radiologically safe areas. Hundreds have died from evacuation stress. Importing liquified natural gas to replace nuclear power has driven Japan's balance of trade negative. People unnecessarily fear low-level radiation from accident-dispersed material, buried waste, or medical procedures. EPA required Yucca Mountain engineers to limit accidental releases to just 1/20th of natural radiation for 10,000 years. Dental X-ray technicians routinely drape lead blankets on patients to protect them, but it would take over 10,000 such X-rays to observe any health effect. Prolonged radiation exposure is safe at natural environmental levels; each cell rapidly repairs DNA strand breaks: one per second per cell. Early life evolved when the natural radiation rate was 3 times greater than now. Today people living in places where natural radiation is 5 times normal exhibit no more cancers. People living in mile-high Denver get more cosmic radiation, but exhibit no more cancers. Radiation dose rates are as important as doses. High radiation rates overwhelm natural cellular defenses. Doses deadly to Chernobyl workers would have no effect if spread over a lifetime. Cancers are destroyed by multiple concentrated radiation treatments, allowing time between for less-irradiated tissue to recover. In 2012 MIT radiation researchers discovered no DNA damage from exposure rates 30 times as great as natural radiation, and Lawrence Berkeley Lab scientists actually observed how low-level radiation stimulated repair within cells. Long-term, low-dose radiation is benign. Nuclear industry and shipyard workers exposed to low-level radiation developed fewer cancers. Accidental contamination of building steel by recycling a medical radiation source exposed 8000 Taiwan residents to radiation 7 times natural levels over 30 years, and cancer rates were dramatically reduced. Last year the Dose Response Journal and the American Nuclear Society published compendia of articles evidencing how low-level radiation is benign or healthful. The vague radiation regulation, "as low as reasonably achievable" encourages ever more costly impediments to affordable nuclear power. This could be fixed with "as high as reasonably safe" limits that are set with evidence, as practiced for other environmental hazards. Nuclear power can solve our energy, climate, and poverty crises. Should we forsake the future of the planet by clinging to a superstition? This post first appeared on Rod Adams blog, Atomic Insights. On Adams' blog, you can follow many related links about this post. The post was written as an op-ed, but rejected by a large number of papers, despite its reasonable length and tone, and Hargraves' impressive resume. Last night's NRC meeting about Vermont Yankee was relatively mellow. The meeting took place at Brattleboro High School, and was lightly attended. The first part of the meeting was a science-fair set up, in which people talked and looked at exhibits. As you can tell by the two pictures, there weren't many people there. As they did last year, the Shut It Down Affinity Group (aka Raging Grannies) came in again, wearing costumes and masks. Once again, they walked single file around the room. I hope you can tell (despite my lousy photography) that they were wearing tie-dyed shirts and wore masks of former NRC commissioner Jaczko. Later, when the more formal presentation was supposed to start, the women once again stood behind the NRC people. The women refused to sit down, and delayed the start of the meeting. They read long letters and repeated quotes from Jaczko about how all nuclear plants must be shut down. However, unlike last year, the crowd did not swarm up and surround the NRC people in solidarity with them. (There wasn't much of a crowd, anyway.) So the Jaczko impersonators eventually sat down and the meeting proceeded. Being Friendly: During the open house, Cheryl Twarog (plant supporter), Mike Mulligan (plant opponent) and myself had a very friendly and upbeat conversation about children, the Navy, where we grew up, high school experiences, and so forth. Aside: My husband was a baby during WWII, but later served on a destroyer (a "tin can"). I remember urging Cheryl and Mike (both associated with Navy nuclear) to read this book about destroyers in a major battle in WWII -- The Last Stand of the Tin Can Sailors. I also recommend it to the readers of this blog. Being Unfriendly: During the meeting, a woman with a heavy German accent (I don't know her at all) gave the usual anti-Vermont Yankee spiel, including lots of comments about Fukushima. She ended it with the question: "How did you [addressing the NRC people] ever become so contemptuous of other human beings that you encourage nuclear power?" (I didn't record the question, but this was the gist of it.) At that point, the NRC people began talking about what happened at Fukushima and what we have learned. She interrupted them to say: "I had ONLY ONE question: how did you became so contemptuous of your fellow human beings?" This woman sure had an advanced case of self-righteousness! Update: My blog post on the meeting is up at the ANS Nuclear Cafe today: Speaking Out of Turn at the NRC Meeting. The post is about how I spoke out of turn, and how that helped the meeting get back to order. Annual assessment letter for Vermont Yankee from NRC. All green. NRC announcement of the open house and the annual assessment: includes many links to more detailed information. March 2013 Nuclear Performance Monthly from NEI, including this quote: For the third time since 2007, Vermont Yankee ran continuously during 2012 and part of 2013 before shutting down for refueling on March 9 (a 493-day run). The unit also achieved continuous runs during 2006-2007 (547 days) and 2009-2010 (532 days). NRC Hears Concerns about Vermont Yankee (article by Susan Smallheer in the Times-Argus). One of the people in masks was kind enough to stop and pose while I took a picture, but I did a bad job of taking that picture, and so it isn't on the blog. I apologize. My camera is old and is getting unreliable.